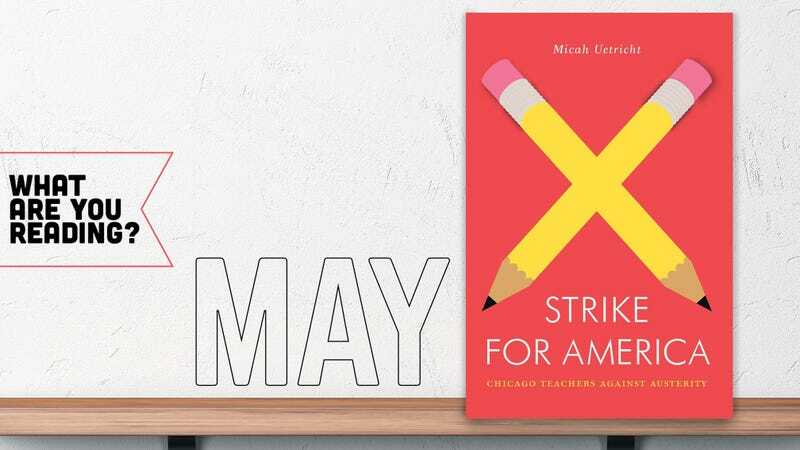 The massive teachers strikes that have taken place over the past few months reminded me that I have Micah Uetricht’s Strike For America sitting on my shelf. It’s a small and attractive book, printed by radical publisher Verso and part of a series from socialist magazine Jacobin. Strike For America is all about the enormously successful 2012 teachers strike in Chicago, one of the most critical collective actions this side of the century, and an event that laid the groundwork for the teachers strikes we’re seeing today. Uetricht patiently lays out the conditions that led the teachers to strike, examining in accessible language the broad shift away from public services to a neoliberal agenda that treats education like a business, to the benefit of the already-wealthy and at the expense of students. Books are the one realm where I often have a hard time just letting go and enjoying a pulpy paperback. Maybe it’s the spines of all those serious works of literature staring out at me from my shelves. How can I possibly start digging into this semi-adequately written supernatural page-turner when John Irving’s A Prayer For Owen Meany is eyeing me, unread, from across the room? But I actually finished Scott Thomas’ Kill Creek, a horror novel about horror, and enjoyed it largely on the basis of its metafictional conceits. Following four acclaimed horror writers who are invited to spend the night in a purportedly haunted house, broadcast live for the tens of millions of fans of the internet’s most popular horror site (arguably the most implausible aspect of a story that involves ghosts), the book is simultaneously a meditation on horror itself. Why we read it, why we enjoy it, and how myths and fables take on the weight of popular consciousness all come under consideration, along with a fleet and unsettling tale of things going bump in the night. It’s got its problems (particularly Thomas’ primary female character, who comes across more as a series of ill-considered “tough woman” tics than a three-dimensional person), but the Stephen King-esque storytelling helps power through those flaws. It’s a Sunday matinee, to be sure, but a creepy and entertaining one.